For the first time in two decades, two women will serve as Kern High School District trustees, helping to steer the direction of the one of the state’s largest districts. Retired teacher Cynthia Brakeman has unofficially unseated Trustee Mike Williams. 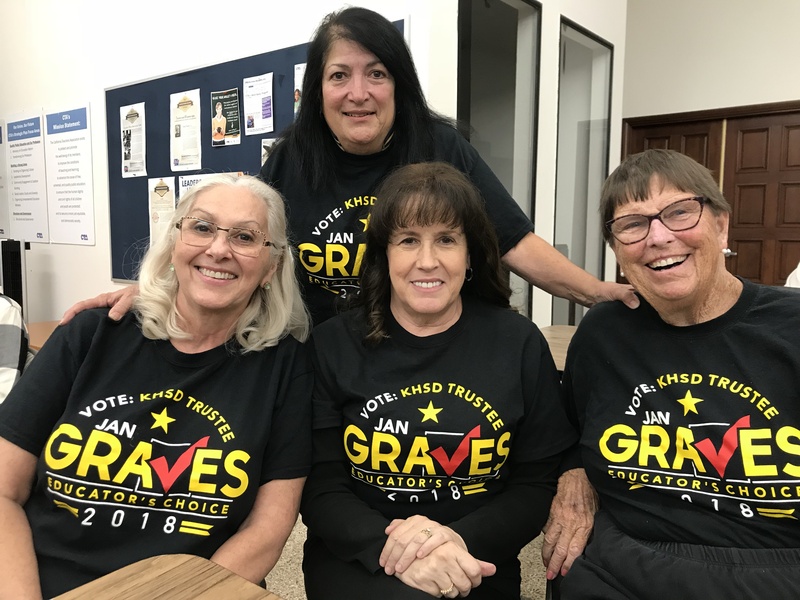 Likewise, Janice Graves — another retired teacher — will represent an area previously represented by Trustee Phillip Peters, who did not seek re-election. Both Graves and Brakeman saw a flood of contributions from the Kern High Teachers Association during their campaigns. The Friends of Brakeman for KHSD Trustee 2018 political action committee accrued a $51,000 war chest to fuel Brakeman’s campaign against Williams, a local businessman and strong two-term incumbent whose conservative stance on divisive issues made him a prime target for union leaders. As former educators, both Brakeman and Graves said they hope their classroom experience can bring new insight to the board. 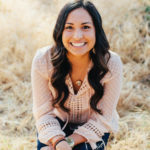 “You don’t really know what is going on a high school campus unless you’re on a high school campus,” said Brakeman, adding that she plans to regularly visit school sites to learn about unique issues and programs. The educators’ experience and input will give the board an advantage, Trustee Jeff Flores said. “Having served the students for that long, that adds value to the board, and I welcome their input and look forward to serving with them,” Flores said. Both Brakeman and Graves share many of the same goals for the district. They want smaller class sizes, revised disciplinary policies for students and the continued expansion of Career Technical Education options. The women say student discipline needs to be addressed to ensure the safety of teachers and the student body. The district has been rife with complaints that changes in disciplinary policies have led to students being openly defiant, fighting more frequently on campus, and in some cases, assaulting teachers. To help address concerns, Brakeman said she wants to explore placing more safety officers on campus in addition to the Kern High School District Police Department officers who are stationed at each of the district’s 18 campuses. Students who disrupt class and distract other students from learning need to be removed from the classroom, said Graves, but it’s also important for teachers to find the root of the problem. Students may be disruptive because they may be struggling with coursework and need to be placed in a different class. Or they may have hardships at home, and staff can help them find them right services, Graves said. “I want students to succeed and be in the correct curriculum,” Graves said. 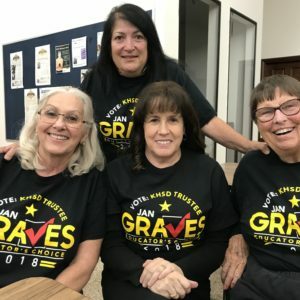 Janice Graves, right, takes a photo with her campaign volunteers, Debra Thorson, Laura Ghilarducci and Elaine Sullivan on Election Day. Graves and Brakeman would also like to see more Career Technical Education programs. The district has seen an unprecedented increase in these options the last several years, breaking ground on a new CTE facility in southwest Bakersfield while bolstering its options at its long-standing Regional Occupational Center in east Bakersfield. Chief among Graves’ priorities, however, is making teachers feel appreciated. However, Williams, the trustee unofficially unseated by Brakeman, said being a board member is not just about addressing teachers’ interests. If Brakeman and Graves can put the students and community first, then they will succeed on the board, Williams said. Classrooms and teachers are just a few elements the board focuses on, said Flores. The board oversees hiring, the budget and sets the direction of the the state’s largest high school district. Those decisions often set the trend for other districts around the state. When KHSD, for example, passed a policy in 2016 allowing Concealed Carry Weapon permit holders to possess firearms on school campuses in its district, a handful of other Central Valley districts followed suit. The decisions were ultimately undone by the state legislature. “It’s important to know the roles and responsibilities of a board member versus a teacher,” Flores said. Williams said he will miss being on the board for a number of reasons, but contagulated Brakeman on her new position.